The Barbican will host a live screening of the 1923 silent film Salomé, with the excellent Haley Fohr aka Circuit Des Yeux providing a brand new live soundtrack with her band. Fohr will be joined by Andrew Scott Young on bass, Whitney Johnson on viola, and Tyler Damon on percussion at The Barbican's 'Cinema 1' on May 16. Salomé is an adaptation of Oscar Wilde's play of the same name and stars Russian actress Alla Nazimova. It was originally panned upon release amid rumours of debauched cast parties, but has since enjoyed a resurgent reputation. 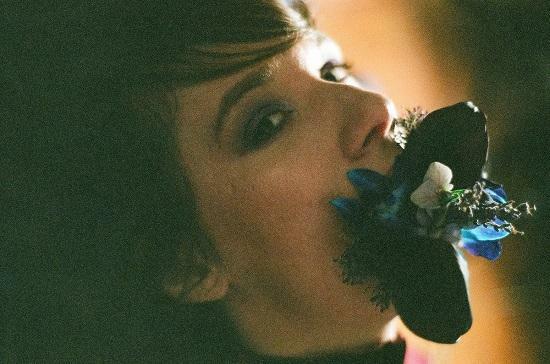 Circuit Des Yeux recently played an incredible headline show at London's The Lexington, reviewed in these pages here. Tickets for the Salomé performance go on general sale this Friday February 23, they're priced at £15.